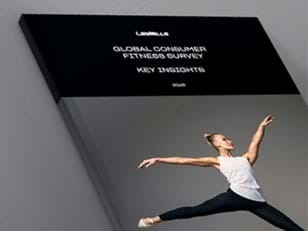 Two U.S. group fitness managers who say LES MILLS Virtual is a huge hit with members. 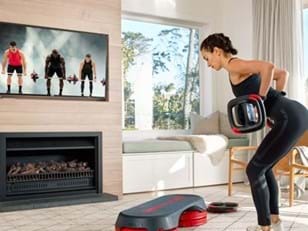 In this digital age, virtual group fitness is now a reality. How will this affect live classes and instructors? Meet two U.S. group fitness managers who say LES MILLS Virtual is a huge hit with members. Hear how it’s bringing more people to group fitness and increasing live class attendance worldwide. Quick review – what exactly is Virtual? Virtual is a pre-recorded class that is of cinematic quality and taught by some of the top presenters in the world. It provides members with a LES MILLS group fitness experience at the push of a button. All facilities need is a studio, video wall or projector w/ screen, and an iPad. Kari Ott is GFM at the Clubs at River City in Peoria, Illinois. She also brought Virtual to her facility in February. “River City has always been the leader in group fitness offerings in the Peoria area and we wanted to lead in virtual classes as well,” Kari says. Virtual eliminates “gymtimidation” by letting members get comfortable on their own terms. Virtual provides a gateway into live group fitness classes. Virtual classes have been a big draw during prospecting tours at Kari’s facility, and she’s not alone. shows 60% of members say the combination of live and classes at their facility influenced their decision to join. A few other things to note: 1) Instructors will always have new releases before Virtual to build excitement for launch parties. Launches are a great time for Virtual users to experience the buzz of live classes. 2) From a management perspective, Kellie and Kari both say Virtual has eliminated the need to cancel classes when emergency subs are not available. We all know nothing’s better than taking live classes led by rock star instructors! The energy and motivation of sweating it out in a group setting simply can’t be beat. Being a leader in the Virtual group fitness world will get more people into clubs, help more members get a high-quality workout, and pack classes for the ultimate live group fitness experience. 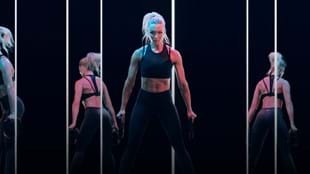 “Virtual is all about exposing more members to the LES MILLS group fitness experience and meeting them where they are in their own personal fitness journey,” says Kari. To learn more about LES MILLS Virtual or to speak to someone about bringing LES MILLS Virtual to your facility, visit us here.